We need to create your perfect dress shirt. Button up the shirt and lay flat on its back. 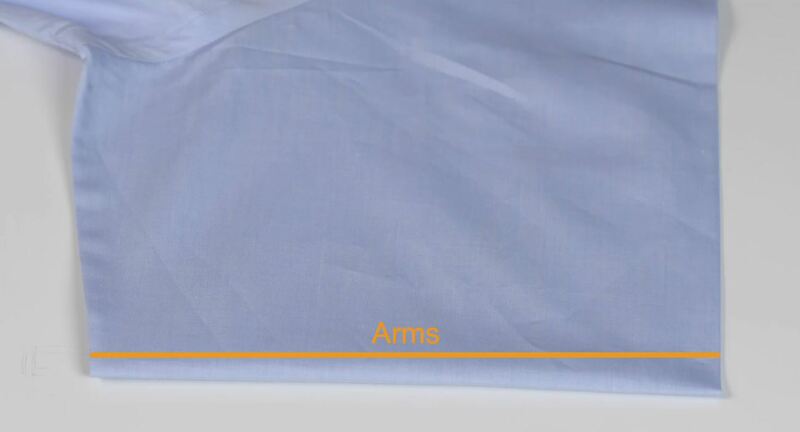 Place the measuring tape at the bottom of the armpit seam and measure straight across to the same point on the other side. Button up the shirt and lay it flat. 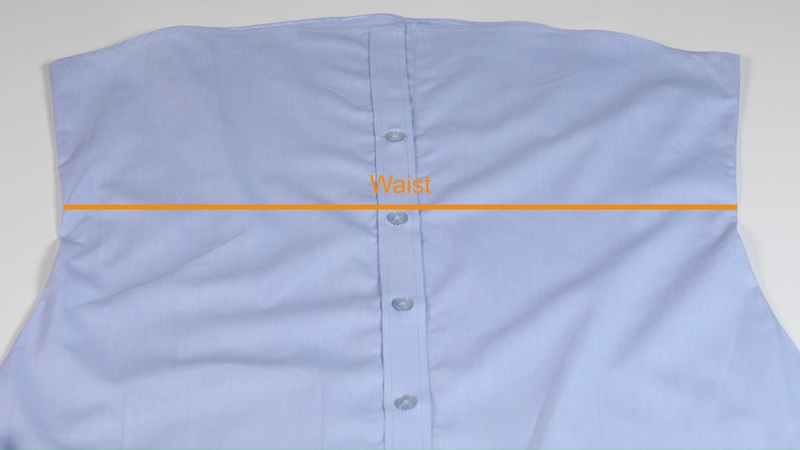 Place your measuring tape just above the narrowest part of the shirt and measure straight across from the left to the right. 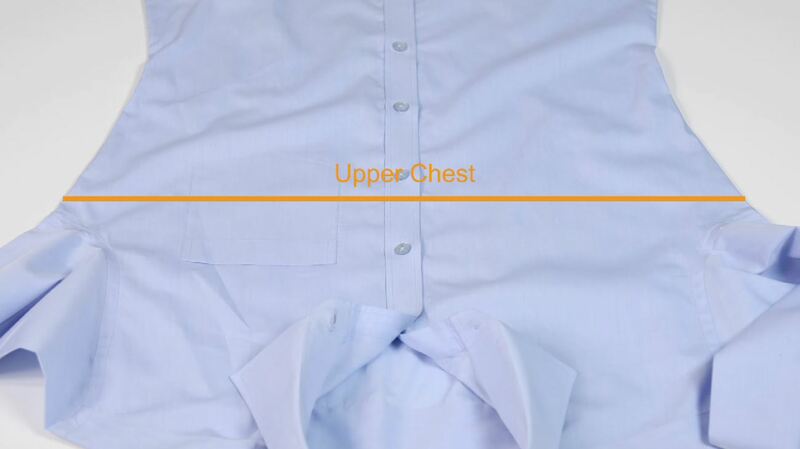 Button up the shirt and lay it flat and make sure there are no wrinkles or folds. 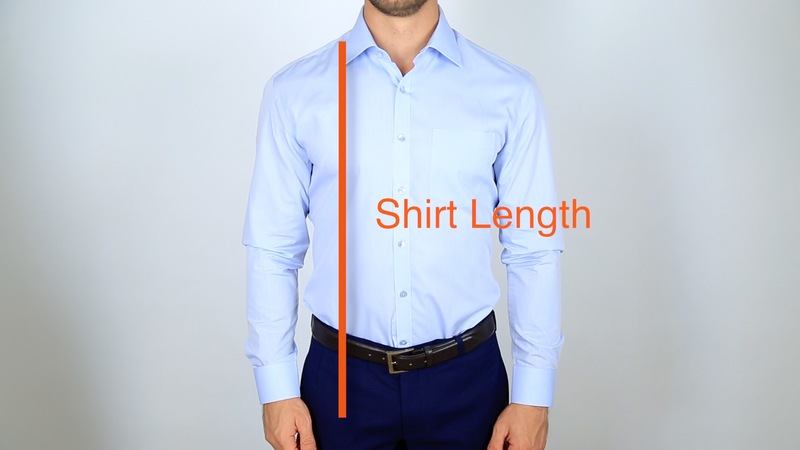 Place the measuring tape about 2-3 inches above the bottom left hem and measure straight across to the same point on the other side of the shirt. Lay the shirt flat on its front. Place the measuring tape at the seam where the yoke attaches to the sleeve. 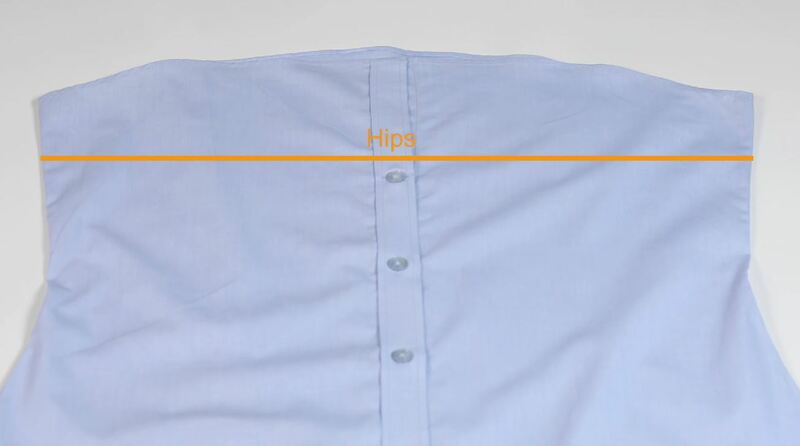 Measure straight across to the same point on the other end of the shirt. 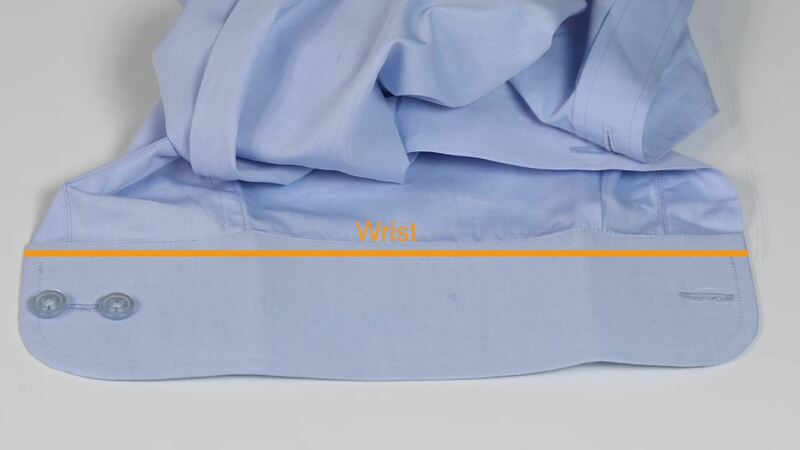 Spread the cuff of the shirt out as flat as possible with the outside facing up. 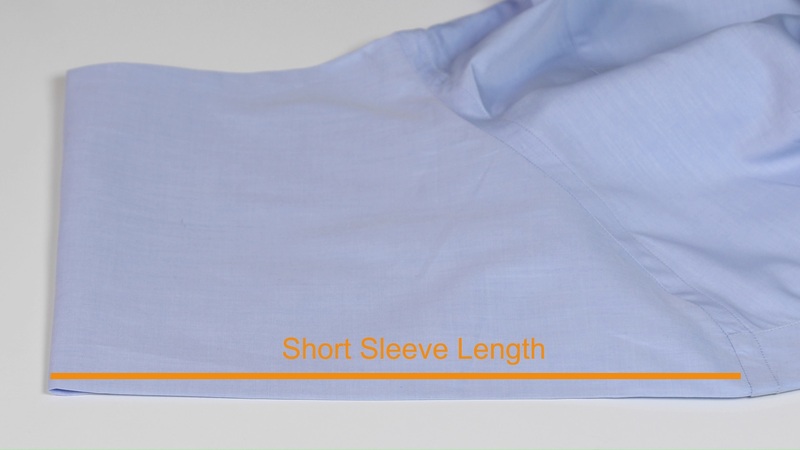 Take the measuring tape and place it at the left edge of the cuff on the seam that attaches the cuff to the sleeve. Measure straight across to the other end of the cuff. Lay the shirt and spread out the sleeve. Take your measuring tape and measure the width of the arm from left to right. Lay the shirt flat out on its back. Place the measuring tape at the stem where the sleeve attaches to the yoke. Measure straight down to the very end of the cuff. Lay the shirt out flat. 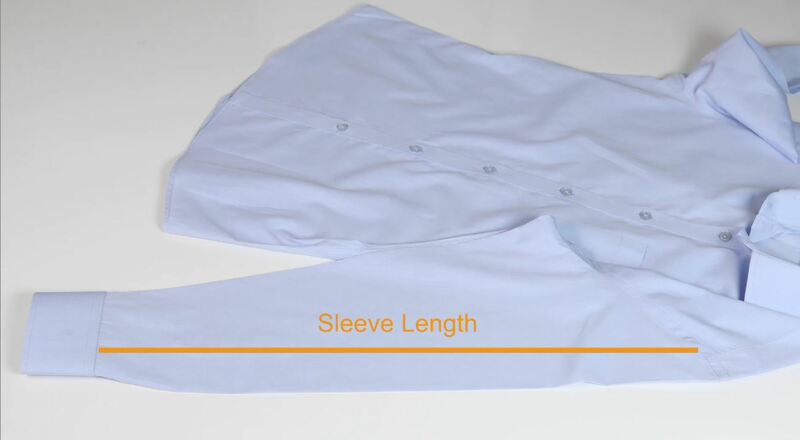 Take your measuring tape and start at the top of the sleeve at the stem where the sleeve connects to the yoke. Measure across to the end of the cuff. Button up the shirt and lay flat on its back. 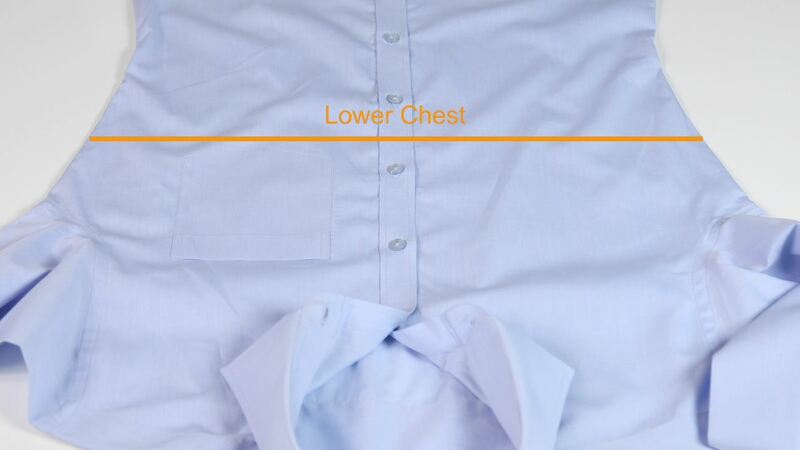 Find the narrowest part of the shirt, which is typically halfway between the armpit and bottom of the shirt. Take the measuring tape and measure straight across from the left to the right side of the shirt. Button up the shirt and lay it flat on its back. 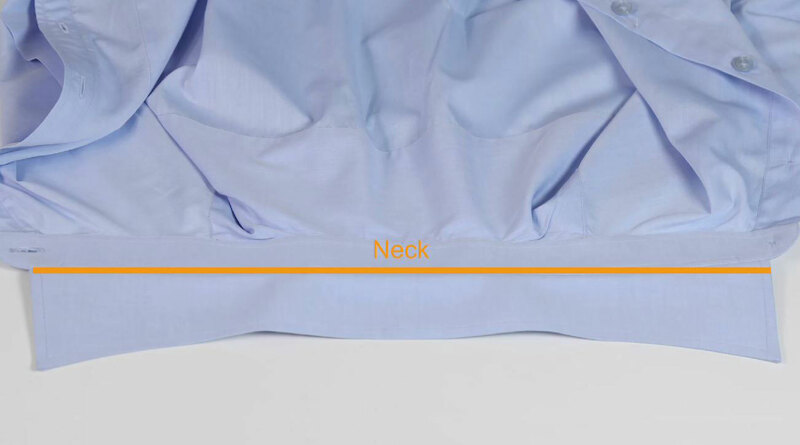 Take your measuring tape and place one end at the bottom seam of the yoke on the front of the shirt. 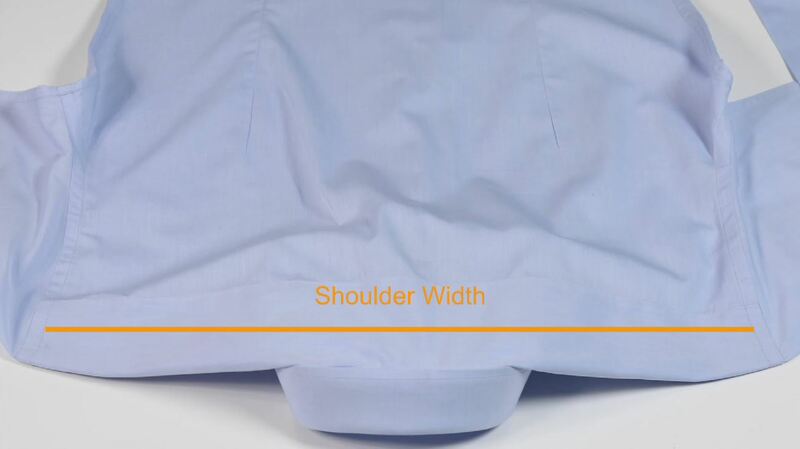 Measure straight down to the hem at the bottom of the shirt.